Local WordPress communities could benefit from having access to a basic business infrastructure that enables ongoing, non-event community activities. A local-community starter kit like this could serve as a catalyst to further democratize WordPress community organizing. We recently launched a non-event-specific WordPress community entity in Seattle. Modeled on similar initiatives in Kansas City and Portland, we felt the need for a virtual destination for our community that wasn’t tied to the Meetup.com and WordCamp event-management systems. Members of our community rounded up a long-ago-registered domain name, found a web host, created a MailChimp mailing list, and launched a simple website that 1) guides folks to our local WordCamp, Meetup, and Slack sites and 2) offers a sign-up for the new Mailchimp list. Who controls the domain-name registration? Who has access to the website? and how do they decide which level of access other users have? Who pays for the web hosting? Who owns the email list? Which email addresses are associated with the community’s social-media account logins and who has access to them? Where do we deposit the check when a local sponsor offers to support the entity? What is the entity, legally? We all know what a “community” is, but goverments and tax collectors don’t recognize it. Ours is a friendly, professional, and responsive community, but what if an account holder became incapacitated? what if a key community leader moves? what if a bad actor were to get control of an account login? These are all valid concerns, but they need not prevent a local WordPress community from creating a new entity alongside the current Meetup and WordCamp programs. 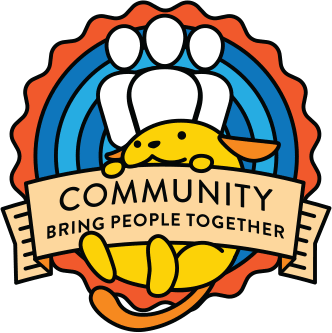 I propose exploring the feasibility of a WordPress Community Support-backed program (tentatively called Sourdough) that would provide support for the creation, development, and administration of a very basic local WordPress community infrastructure. Much of the proposed technical and administrative infrastructure already exists as support mechanisms for the current WordCamp and Meetup community-event programs. But there would be some additional development and, possibly, staffing needs, hence the request for WordPress Community Support help. Like any good program, Sourdough introduces at least one new acronym, the LCO, Local-Community Organizer (or LOCO, if we want to allude to the sometimes crazy-making nature of community wrangling). I know how stretched for time community members are, so not expecting immediate action. I just want to get this idea out there and see what even-better ideas folks in the community might have on this subject. This is amazing news. We (Indian organisers) were discussing recently how something like this would be super awesome and something on these lines was discussed long ago. Larry & I are co-chairing this year’s WordCamp in Seattle. We’ve been working on this for many months. One of the motivators is the reality that each year folks opt-in to be notified about that year’s WordCamp but to reach previous attendees we must log into previous WC websites. We wanted a single opt-in for year-round communication. It was my suggestion that since we already have a person vetted & approved why not just modify their role to include this LOC responsbility, rather than create yet another volunteer role. Also, our plan is to create a directory of local members what offer WP services. That’s still in the planning stages but another community-building element to having a “portal” website. We were fortunate to have one of our Meetup organizers step-up to both design and host our new portal site. I think it’s helpful that it’s self-hosted which allows for more freedom of design and tools. Meanwhile, I thought I’d add that we’ve also created a poster and postcard to use at WordCamp to promote the new portal site and encourage folks to sign up for the new mailing list. I like this idea a lot. Our meetup has had its own website (hosting donated by Pagely) since 2009. We don’t have a separate business entity for it: I registered the domain name and signed up for the hosting, and pay for the domain registration out of sponsor money, as declared on our sponsors page. Right now I’m the one who ends up posting the slides and doing all the management. If we had an actual job description that included various responsibilities and processes, it would be much easier to set someone up as an emergency fallback and also to allow someone else to step up and take over the job. I’m kind of embarrassed that we missed your site as we looked for models. You’re doing amazing stuff there. That Meetup intro video, in particular, is very engaging. I can see that all by itself roping folks in. FWIW, we have a Slack account here in Seattle, and it’s pretty well used. We have very active channels for our WordCamp and Meetup programs, with both public and organizer channels for each, as well as #business and #developer channels, and even a fairly well-used #watercooler channel. If this proposal goes anywhere, I really hope you’ll stay involved. It good that we are having the discussing but I like to see the best in people and not create extra bureaucracy when not needed. For that reason I am normally happy to give anyone access to social media or the website if they need/ask for it. Giving multiple people access does not solve the problem of loosing the accounts as one of the admins can easily remove other people’s access. Generally I feel that is very important that there are at least two people leading a meetup. I was very lucky that I had someone else join me about a year after the meetup started to help out. This has taken a lot of stress off me. For me it is more to do with working on a culture of collaboration instead of a single group owning the community. I created a basic site to add the summaries of our meetups so that others can profit if they are unable to attend and also build a bit of content to rank better on Google. I sponsor the costs for the domain name and I host the site on my account with Siteground. If need be in the future I suppose I could move the site to host that is willing to sponsor the hosting. The proposal seems to be quite specific to the US which is understandable but something you need to be aware of in the discussions. The entities will be different depending on the countries. I know that France have a registered social club that they use for their finances. Though recently we were discouraged from creating something similar in Switzerland by the community team. From my experience a number of people in Europe have struggled with the centralisation of the community in the US. There is a certain feeling of losing control by transferring the domain to a central registry or having a central hosting platform. The German speaking community has a central website where it list all of the meetups and their events. In 2015 that website was successfully transferred from an individual to the Frankfurt Meetup group who manage and maintain the site. The thing that I feel the Swiss community can work on is a mailing list. Sorry this ended up being a bit of a brain dump. Appreciate you chiming in, Ulrich. We Americans tend to be very US-centric unless someone whacks us over the head to remind us that any undertaking like this has to cater to the WHOLE community. I actually tried to de-U.S.-ize my proposal, changing to “tax collector” from “IRS” (our taxing agency), for example. But I know I can always do better, so I really appreciate your perspective. I did belatedly (as in, this morning) think of that possibility–that WPCS could set up a central website for meetups the way they do for WordCamps. It’s possible that people who have already set up their own sites would find it restrictive, but it could make things easier for meetups that don’t yet have their own sites and are facing the problems inherent in registering domain names and setting up hosting. I suspect many communities might be Meetup only, and a multi-site destination might work just fine for them. We’ve discussed something like this for over a year now in the german WordPress community, and it was still on my list to do a posting like this here to propose it. Our Idea is about to have something like de.wordcamp.org for the whole german community with a newsletter and a single point of contact to all the wordcamps and meetups. Our main concern is not losing all the subscribers to WordCamp Sites with every other year and to have one central communitcation to the press and big sponsors. On the other hand, most of the german meetups have their own websites beside the meetup.com group. As far as I know there is a project on central to do a community hub for all this things, but I guess it needs support and help to get real. Yes, not losing subscribers and starting over each year has been one of our primary concerns. I love calling it a “community hub”.